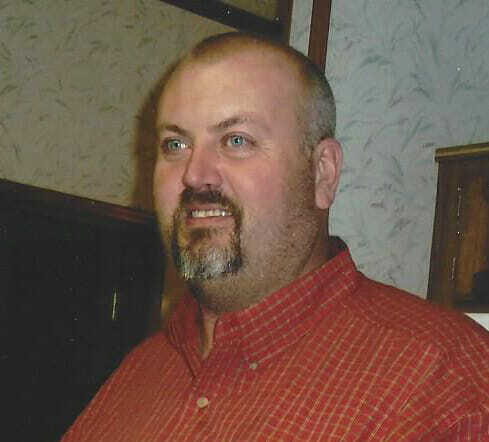 Kurt Edward Anderson, son of Darrell and Elizabeth (Hoppe) Anderson, was born March 7, 1969 at New Rockford, ND. He grew up on a farm in Grandfield Township, rural Sheyenne. He graduated from Sheyenne High School in 1987. He attended Lake Region College in Devils Lake, ND, where he took up diesel mechanics. He worked for a couple of farmers and then proceeded to take over the family farm. Kurt loved people and never forgot anyone he met. He had a gift to gab. Kurt was a member of Eden Lutheran Church until it burned, on the Grandfield Township Board, Eagles Member, and Eddy County Rod and Gun Club. He enjoyed his nieces and nephew. He enjoyed visiting and teasing them. He was an avid collector of toy tractors, and had a large collection. He spent many hours buying and selling scrap iron. Kurt is survived by his parents; brothers, Korey of New Rockford, ND, Kent (Carla) of Bismarck, ND; nieces, Kalli, Kierra, Jenna, Alexa, Emma and nephew, Keegan. He was preceded in death by his grandparents, Marvin & Emma Anderson and Paul & Margaret Hoppe. Funeral Service: 10:30 AM, Monday, October 22, 2018 at First Lutheran Church, New Rockford, ND. Burial: Eden Lutheran Cemetery, rural Sheyenne, ND. I’m so sorry for your loss. Hold your memories close and remember them often. God Bless you all. So sorry to the Anderson family, Kurt was a gentle giant and always made a person smile, prayers are with you all. So sorry Darrel and Liz, thoughts and prayers to your family. Liz and Darrel, I am so sorry to learn of your loss. Rob and I are holding your family in prayer and heart. May God’s love and care enfold you, may family and friends sustain you in this time and going forward, and may the sure and certain promise of the resurrection strengthen you and give you peace. My thoughts and prayers are with each and everyone at this time of sadness. Kurt will be missed. Thinking and praying for all of the family. Sending hugs to all! Kent and family, I’m very sorry to hear about your brother. I never had the privilege of meeting Kurt but, if he was like you Kent he was a great guy. I always remember you speaking highly of your brother. I am sincerely sorry this happened. We are so sorry for your loss. Kurt has a wonderful sense of humor. He will be missed by all. You are in our thoughts and prayers. Darrel Liz and family, so sorry to hear about Kurt, what a great guy!!!! So sorry for your loss!!!!! So very sorry for your family’s loss, sympathy and prayers being sent for all of you from all of us! Liz and Darrel and family so sorry for your loss. You are in our family thoughts and prayers. Hugs and love. Oh Darold & Liz so sorry to here of the loss of your son. May God Bless You & Yours. He’s in Heaven with a lot of Friends & Family. thoughts and prayers are with you at this difficult time. God Bless the family. We’re keeping you in our prayers Liz and Darrell and the rest of the Anderson Family. We remember the quick smile and teasing nature Kurt had. We are so sorry for you loss. Our thoughts and prayers are with you and your family. My condolences to all of the family. Kurt actually started everyone calling me -Halvor- as when he was about 2 years old he couldn’t say Halvorson. Just came out Halvor. Which is my middle name anyway. Thanks for that Kurt. RIP . Darrel, Liz and family I am so sorry to hear of your loss. My thoughts and prayers are with the family through this tough time. RIP Kurt. In our thoughts and prayers to the Anderson family. So very sorry for your loss, our sympathy and prayers are with you. Kurt was a big teddy bear, a good friend to my daughter we are gonna really miss him. He made me laugh when he came to Bremen, sorry for the family’s loss. May he rest in peace. Lori Himmelberger from Hamberg. Kurt was a very special guy, loved by all. He will be missed by many. Our hearts go out to you and your family. Sincere sympathy. Please accept our sympathies and know our thoughts and prayers are with you and the entire family. Keep all of the good memories of him with you and he will be with you forever. God and your family and friends will help you through this. My heartfelt condolences to you and your family on the loss of Kurt. He will be missed greatly! We are very sorry for you loss Kory. Our sympathy and prayers are with you, your family, and loved ones. So sorry for your loss, Darrel and Liz. May you find comfort in your memories and Gods love. To Darrel, Liz, all family and friends: We are so sorry for our loss, our prayers are ever with us towards goodness and tender mercies. Forgive Me, the Lord would say, you are blessed. The Lord gives light and called it good. I hope someday we understand.